Over the course of the last year, students conducted interviews, filmed videos and researched the region. All this work has resulted in impressive and fun projects that can be seen online and locally in the Buffalo Island Museum. The beautiful online Story Map here features interviews, like the one below, and images from Buffalo Island. 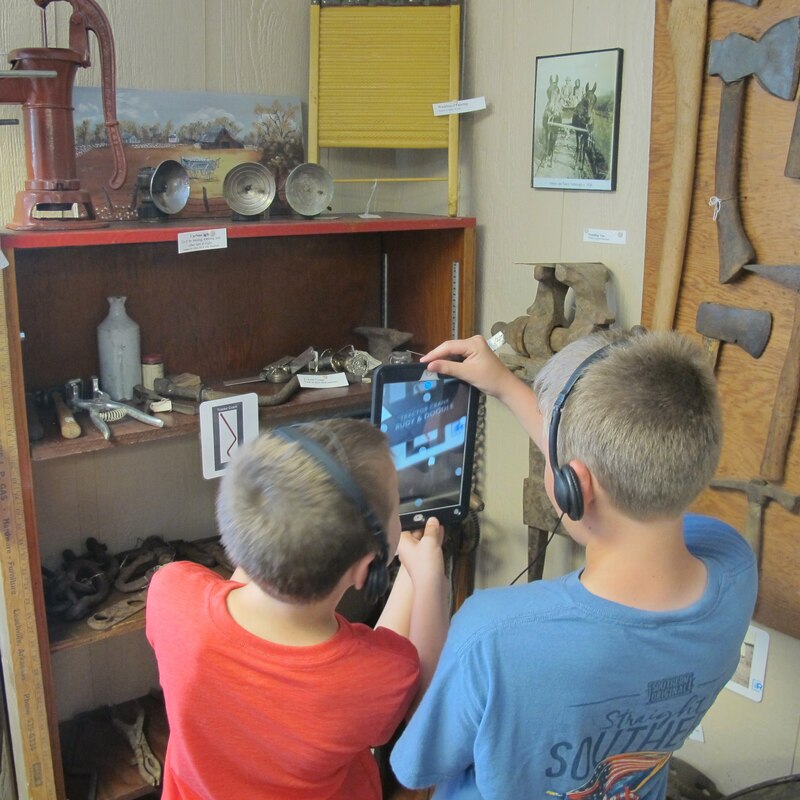 Interviews were also used to enhance exhibitions in the Museum using the HP Reveal app. The remarkable result makes Museum artifacts come to life with stories that pop up on tablets or phones when pointed at one of the augmented reality images. 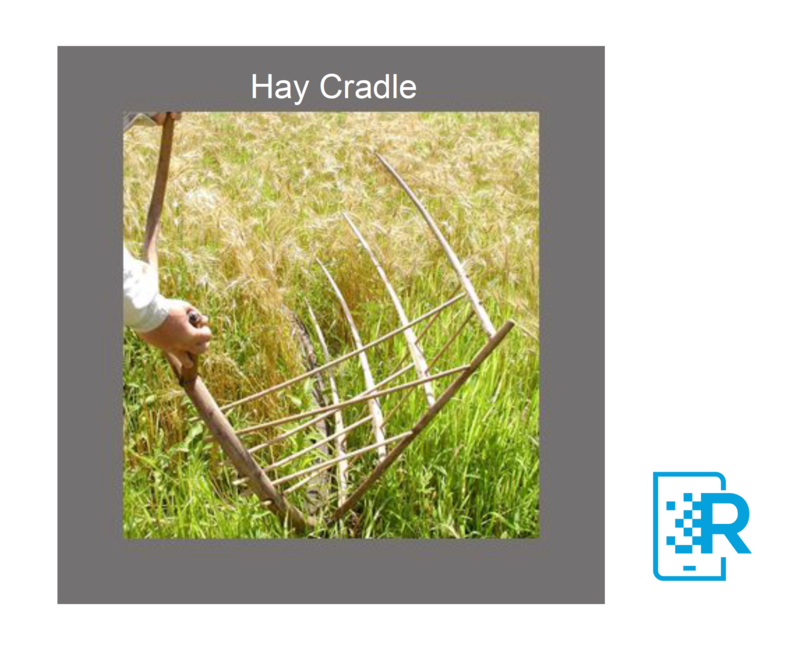 Try it by following the instructions here and using the 'Hay Cradle' image below. You can do it from a computer screen! Or visit the Buffalo Island Museum to see the real thing. You can find more interactive images here or visit BIC EAST's YouTube channel to watch the videos on their own. BIC EAST is facilitated by Jill Sanders and the students involved in Stories: YES are Colin Weatherly, Carlie Wattigney, Erica Hurst, Chris Renteria, and Jace Couch. Thank you for your dedication to this project! EAST (Environmental and Spatial Technology Initiative) classrooms can be found throughout Arkansas and many other states. They are STEM-based classrooms where students learn how to drive projects about things they're interested in. 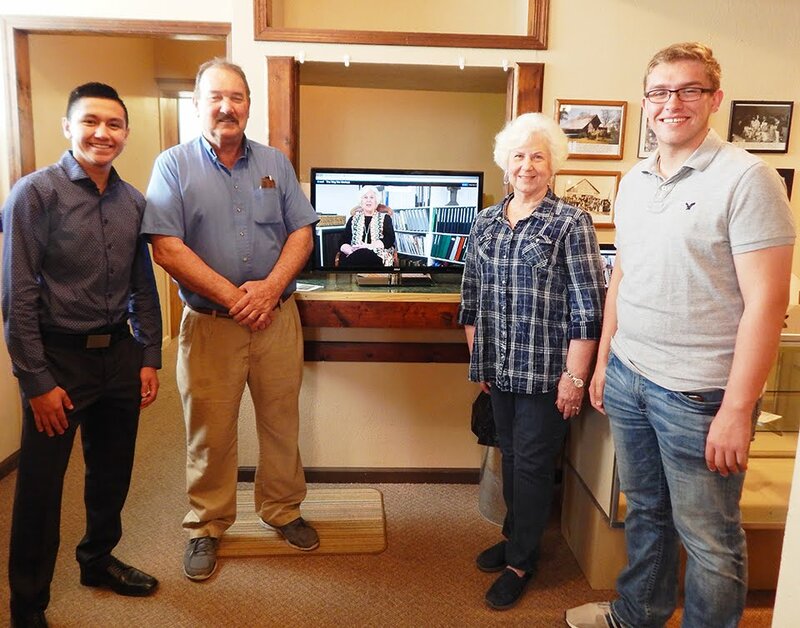 The collaboration with MoMS provides an opportunity for rural students to deepen connections to cultural heritage and local history. Stories: YES is made possible with internal Smithsonian funds through the Youth Access Grants Program.